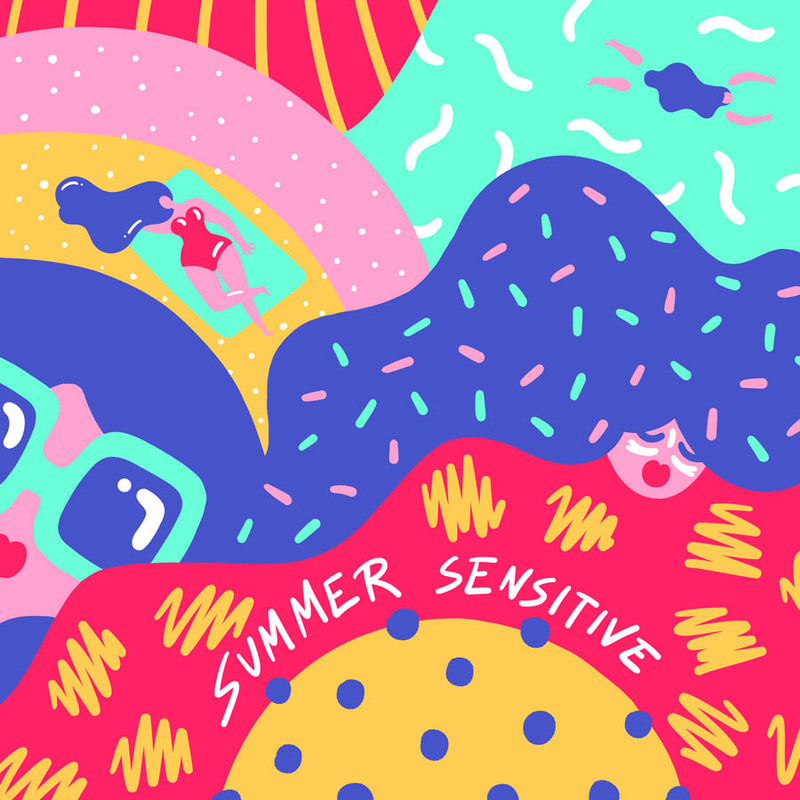 Marylou Faure creates images full of wanderlust and summer spirit – the perfect accompanying artwork to those sunny songs that tend to make it onto our playlists around May time. She’s a French artist who moved to London after graduating and has been busy moving on up in the illustration world ever since. For once in my life I love the fact that there are no black lines in the pieces and instead Marylou uses vivd, contrasting colours to create her bold imagery. 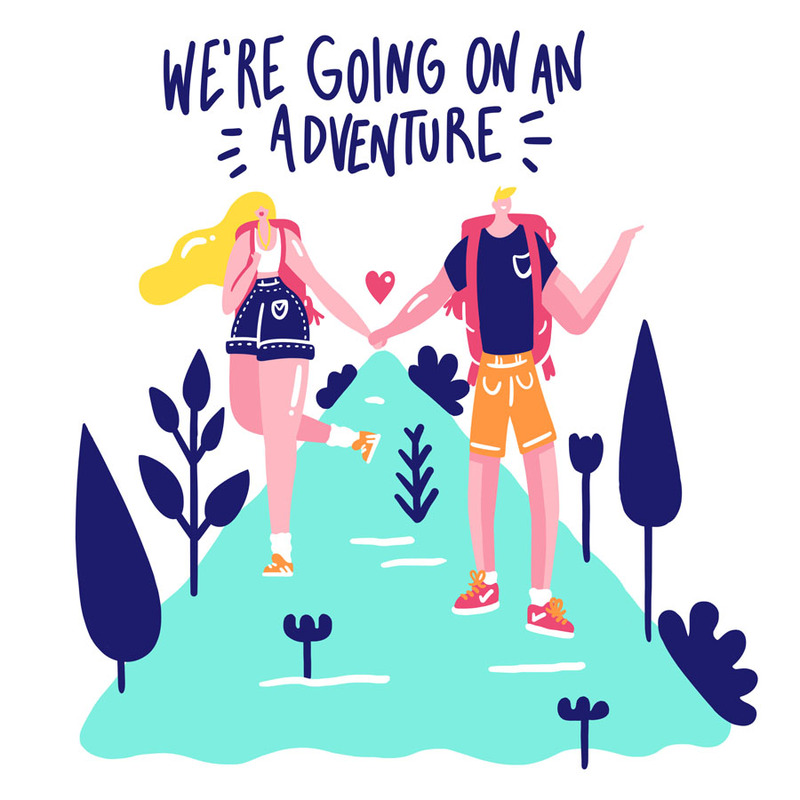 There seems to be a calling for her in the article world where she has illustrated for the likes of The Debrief and one of her recent projects illustrates Tinder dates which actually come across as rather adorable. Urban Outfitters have even just featured her as their artist of the week so don’t I feel lucky to have had a chance to chat with her for the blog! Read on to find out more and check out her recently launched shop for some goodies. You studied a Masters Degree in Art Direction and Digital Design which sounds a little more specific than the normal Illustration or Graphic Design degrees we have in England, what did the course consist of? Well, I think the aim of the school is to teach as many different types of courses as possible. After a first year of foundation, you choose between Architecture and Graphic Design and after that you try out loads of different types of classes (from photography, typography, art direction to live drawing, calligraphy, illustration, web design, etc). It’s very broad which I think is a good thing as it makes you clearly see what you like and dislike. I personally think this sounds like a much better way of doing things and I wish more universities here would take note! You moved to London after graduating, what was it that made you do so? I used to live in London when I was younger and I missed it so very much. I always wanted to come back, so when I graduated, I packed my stuff and came here. Also, part of my family lives here and my boyfriend is English, so it made sense! Did you take any internships or unpaid work after university? How useful did you find them? Yes, a few internships! I had zero contacts when I first arrived and was very keen to try out a few different agencies and see how it went. All of them were great experiences and it gave me the opportunity to meet new people in the industry. Your work reminds me of summer (quite obviously) and I adore the block prints. What inspires your style? It took me a lot of time for me to be happy with my style. I was inspired by loads of things! 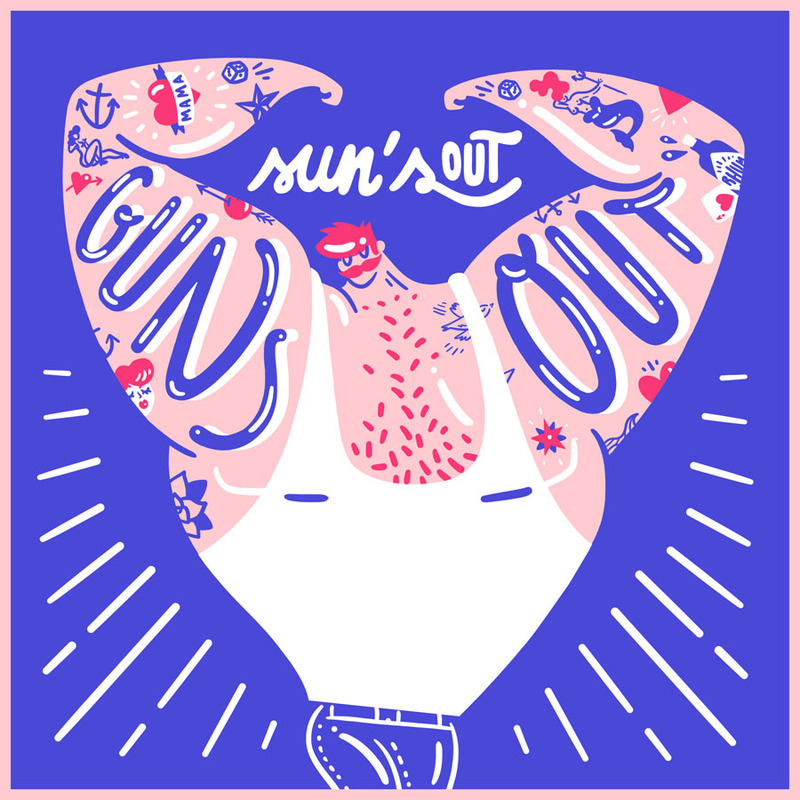 I love the work of Hattie Stewart and Kate Moross as well as painter Matisse. But I’m also inspired by daily life events and I like to bring a bit of colour to anything I can think of. Lovely! You’re also part of the Puck Collective (which consists or a very talented bunch). How did this come about? Yes – a very talented bunch! I was recommended by someone to apply, so I sent out my portfolio alongside a little text explaining why I’d love to be a part of Puck. I was very happy to hear I had been taken on board. Any other illustrators we should be looking out for? Well, I think they are all talented to be honest but I particularly love the work of Ruby Taylor, Alec Doherty, Michael Driver, Baby Crow and Elliot Kruszynski. Do you have any upcoming shows / what’s next on the agenda for you? No shows, but I’ve just opened my online shop and I’m about to work on a few really exciting projects as well! Thank you to Marylou for taking the time to chat and for providing all of the above beautiful images. Show Marylou some love over on Instagram here and Twitter here. Don’t forget to visit her shop – that panther patch is already making its way onto my February High Five list.